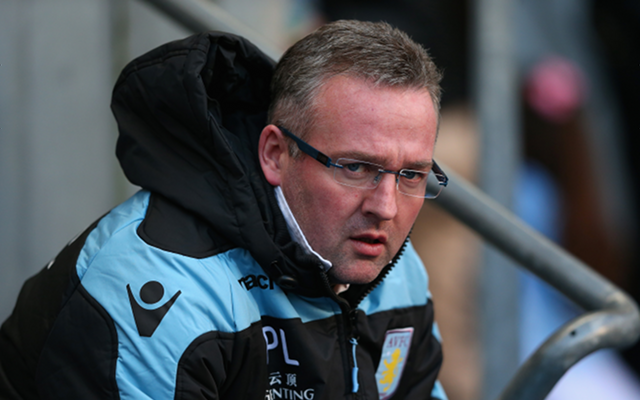 Manchester United boss backs Villa manager in relegation scrap. Sir Alex Ferguson has said that he believes Villa have the right man in Paul Lambert to save the club from the dreaded drop, The Express reports. Villa face a tough trip to Old Trafford this coming Monday night and find themselves in good form despite a precarious league position. Lambert’s young side have won three out of their last five games but still find themselves one place and three points above the relegation zone. And Ferguson has praised the former Celtic midfielder for taking on the job in the first place after Alex McLeish’s poor turnout last year. Villa will go to Manchester in a bullish mood having beat Stoke and West Ham recently, both of whom are physical sides and The Villans showed that they can mix it up with more physically competitive teams. They will also have November’s encounter between the two fresh in the memory. Villa led the Red Devils 2-0 until a Chicharito hat trick restored the status quo.